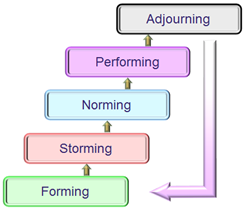 One of the most familiar management models is Bruce Tuckman’s model of Group Development – sometimes known in the US as the ‘Orming Model’. The team comes together in anticipation, enthusiasm, and uncertainty about their roles and their colleagues. As they get to know their colleagues and leader, disputes arise over direction, leadership and status. The team settles into productive work and establishes ways of working together. Team members are comfortable with one another and understand their roles, so the team gets loads done. The project comes to an end and team members go their separate ways. For more detail on Tuckman, see the Management Models Pocketbook, or read some of our other blogs on the subject. My usual first answer is that ‘teams will storm’. When the pressure for a new team to achieve quick results is lifted, the internal pressures will emerge and, albeit out of sequence, the team will storm. A model can predict or explain, but the nature of a model is to simplify. This means that, by definition, it must be wrong sometimes! The better a model, the less frequently it is wrong. 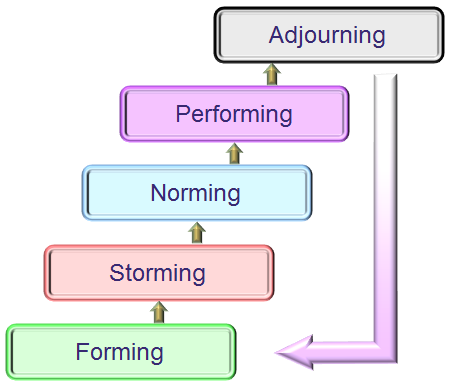 But neither this observation, nor my assertion that ‘teams will storm’ explains why they sometimes don’t storm at the ‘right’ time, nor more so, why some teams do not storm at all – yes, my assertion could be wrong too. 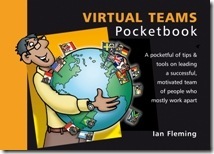 My answer is hidden in an earlier Management Pocketblog, and in Ian Fleming’s Virtual Teams Pocketbook: ‘Swift Trust’. 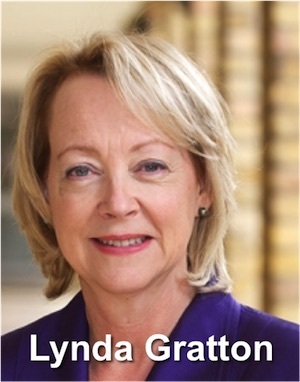 The concept was first articulated by Debra Meyerson, Karl Weick and Roderick Kramer and is the subject of a chapter in the cross disciplinary review book, Trust in Organizations, edited by Kramer and Tom Tyler (1996). Sometimes teams come together rapidly and need to work together effectively without the time it normally takes to build trust. Swift Trust emerges when people are willing to suspend their doubts and concerns about colleagues and just get on with a shared task. They focus on their goals, their roles and the time constraint they are under. Your team doesn’t have to storm, but if you want to avoid it, you have to build trust: swiftly. Telephone conference calls are a great way for a geographically dispersed project team to stay in touch. The biggest problem is timing. If you are working in Britain, with colleagues in California, what time should you make the call? My guess is that both parties will prefer Option B. 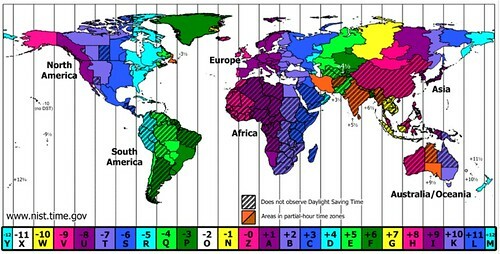 The British won’t have to get up unrealistically early and the American’s won’t have to stay at work late. But this does mean that, while the Californian’s are bright as a button, the British are tired, at the end of the working day, staying on to 6:30. This is one tiny example of the challenges facing virtual teams – teams that do not work together physically. They are an increasing feature of the modern workplace. Even if your business is not a global or multi-national company, you are not immune. Many small businesses work in complex global networks contributing products and services to international supply chains. Even many schools are now linking up across continents to enrich pupils’ learning opportunities. 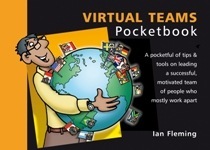 In his Virtual Teams Pocketbook, Ian Fleming is spot on when he identifies technology as a key enabler, and also crushes the assumption that virtual teams are all about technology. 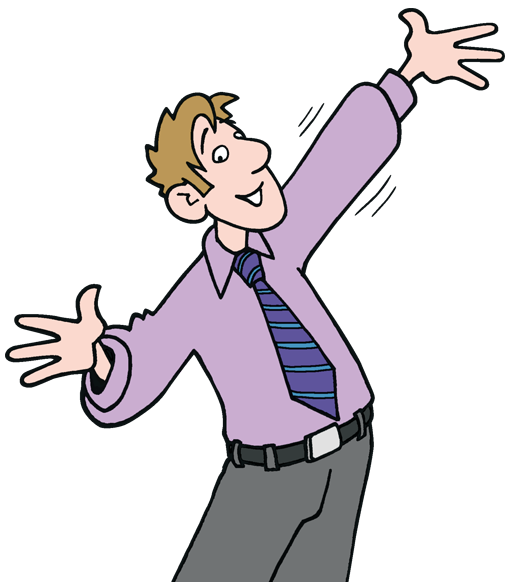 What Ian does do is give practical advice about using a range of technology tools to your advantage. Technology is an enabler for the most important part of team working: communication. Whether your team is spread around offices across the world, or a series of local organisations, your top priority is to find the best ways to allow team members to stay in touch informally and to exchange formal information reliably. How many groups have you worked in where one or more of these characteristics is missing. Deep trust comes from the one thing Swift Trust is designed to do without, personal relationships. However, surely each of the six characteristics above is essential for any team. Whether your team is virtual or sitting around the same table, day after day, tailor your communications to build trust. Focus on the checklist above, and then look for ways to build personal relationships too.